In this book Ian Sinclair provides the practical knowhow required by technician engineers, systems designers and students. The focus is firmly on understanding the technologies and their different applications, not a mathematical approach. 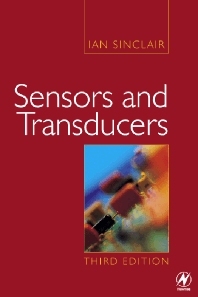 The result is a highly readable text which provides a unique introduction to the selection and application of sensors, transducers and switches, and a grounding in the practicalities of designing with these devices. The devices covered encompass heat, light and motion, environmental sensing, sensing in industrial control, and signal-carrying and non-signal switches.